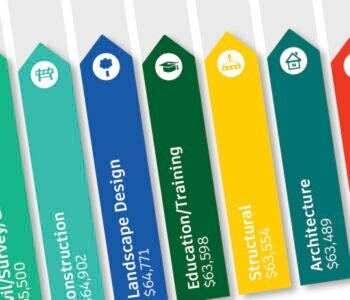 If you’re a CAD Manager, you’re a leader in the industries supported by AutoCAD, but do you know how much valuable insight you can get from the annual Autodesk User Group International (AUGI) Salary Survey? The good news is we’ve rounded up some insights just for you. In case you’re unfamiliar with AUGI, here’s some background: AUGI is the organization officially recognized by Autodesk (AutoCAD’s developer) “as representing the Autodesk user community.” Formed originally as the North American Autodesk User Group (NAAUG) in 1990, AUGI puts out a lot of terrific information about how to use Autodesk products – and most importantly, serves as the unified voice of the Autodesk user community. Though their objectives are all Autodesk-focused and Autodesk participates as a sponsor, AUGI is an independent organization. This year, AUGI has shared with us some CAD Manager-specific data they’ve put together from the results of the full Salary Survey, and we want to make sure you see it so that you can make the most informed career decisions. While the general results take the 1000ft view on everything from average salaries by field, gender, company size, and education level, to workload level, and job mobility and security, CAD Managers are in a very different position from those just starting out, or in design-only positions. Based on these responses, the average pay for CAD Managers in the petroleum/gas/biofuels industry outperforms the rest of the field; it beats out the next highest performing industry (education/training) by $30,000/year, and it pays $55,000/year more than those in interior design field. Surprisingly, the pay differentials don’t differ all that much based on education level, with masters’ degrees beating out bachelors by less than $1,000/year. We know from the full results that CAD Managers already fall toward the higher end of the pay spectrum ($71,324/year), but those in companies with more than 200 people tend to outperform those with fewer by at least $5,000/year. Additionally, job security is quite high for CAD Managers, with 82% reporting they’re with the same company they were a year ago, and only 1% reporting being laid off. For even more insights, we encourage you to read the full 2016 AUGI Salary Guide.